Another school mass shooting: Santa Fe High School in Texas joins the recently attacked Parkland, Florida high school among the two dozen or so schools that have sustained similar attacks since the first: Columbine in Colorado. Political rhetoric again runs amuck. The outcome of that rhetoric will no doubt be the same: no action, symbolic gestures from politicians at federal, state, and local levels, and students and their parents all across America will again approach school everyday in total terror of becoming the next target of some crazed gunman. Student protests like the one pictured above have not worked to initiate meaningful changes to stop such violence. Want a fix — a REAL fix? There’s only one that can be implemented quickly. Listen for that fix in detail. And it has already worked! READ THESE 2 SECTIONS BELOW BEFORE LISTENING TO TODAY’S PODCAST — THAT’S IMPORTANT! As nasty as was his first ad, denigrating every one of the millions of NRA members (not one of who has ever perpetrated a mass shooting) is not nearly as horrible as the gross exaggeration contained in his second ad: NO AR-15 can shoot 150 time in 15-seconds. If there was a magazine that actually held 150 shells that could deliver those shells into the chamber of an AR-15 to fire in 15 seconds, the barrel of that AR-15 would literally melt. Davis is given a pass by his supporters and benignly by many who see his ads. Why? He’s a former policeman. And policeman KNOW these things, right? In this case, not so much. The crux of every gun conversation is about gun control: will it work stopping murders; can it be done legally; what would that look like and who would implement that process? In this conversation we have heard many suggestions — all of which are fueled by the emotion of mass shootings and speculation of what would “definitely” work to stop such murders. But none that I have seen provide facts. In today’s Podcast I am providing actual facts that explain using multiple other countries murder statistics as compared to their legal gun ownership so that finally Americans can get some real facts to form educated opinions. You will have to listen closely, for there are many statistics intertwined with narrative: DON’T LOSE THE FACTS! To make this easier for you to refer to these facts and statistics later, at the end of this I am providing a link to the written transcript of this Podcast — at least the statistics and country comparisons — so you can get comfortable to base your gun control opinion on facts and can pass these facts along to others if you wish. Here we go! Columbine, Sandy Hook, now Parkland: each of these tragic school mass shootings lit the fires of outrage across the U.S. The outrage was pointed at one thing and one thing only: guns. Gun control/gun rights join illegal immigration as the most polarizing issues of the day — for both the Left and Right. 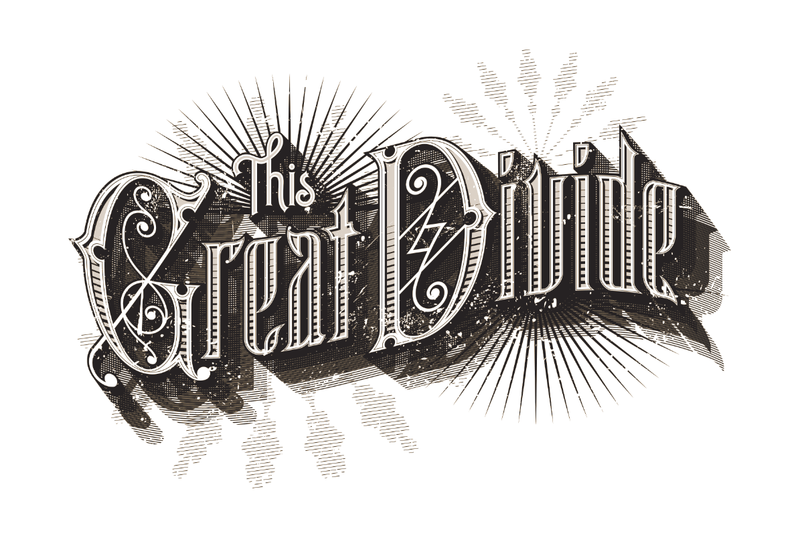 These illustrate a great divide between Americans that is just 2 divides among dozens in the Country that are not only increasing daily in numbers, but are like a tsunami destroying much of the American moral and spiritual infrastructure that has survived attacks of all kinds for several centuries. Like most, this latest divide regarding gun issues requires fuel to perpetuate its existence by giving it nutrients necessary to grow. That fuel has been the controversies that pop up every time there is a school shooting, mass shooting, or cop shooting of a black man. Leftists almost all think laws need to be changed to outlaw gun ownership overall or at least of guns they term “assault weapons,” which actually are anything but assault weapons. When that term in used, it references almost always the AR-15, which is a semi-automatic rifle that looks similar to the military fully automatic version of the AR-15: the M-4. The truths that counter everyone of these emotional cries for strict gun control fall on deaf ears. The Left have even recruited massive numbers of school children, teachers, and administrative educators for demonstrations of all kinds against guns. It is ironic that those who live their lives in the education system to obtain truths and knowledge totally ignore any quest for finding the truth of this issue and rely on the purely emotional remedy: gun control. Those local and state governments that have passed laws abridging the ownership or possession of legally obtained weapons are facing certain overturn by the U.S. Supreme Court as it has done so previously. Let’s face it: this entire conversation is fueled primarily by the Left who are using gun violence and gun control along with immigration reform as the dog whistle to rally the troops — Democrat voters — to head to the polls in opposition to conservative candidates who support the 2nd Amendment. The hope of these Leftists? To fight until they see every privately-owned gun taken from the hands of private citizens after which the federal government (which would be under Democrat control) would determine the use of ALL guns and who would be eligible to possess and use them. It does not matter to the Left that the right of private gun ownership is allowed by the 2nd Amendment. The Left today live in a vacuum void of any consideration of the Nation’s laws. If Leftists like an idea, then it’s right and any counter opinion is wrong….period. Why are the Dems so set on these 2 issues for the 2018 and 202o elections? They have NO substantive issues on which they can run! They voted unanimously against tax cuts for 90+ percent of Americans, they voted almost totally to keep Obamacare in place ignoring its skyrocketing costs to Americans and its almost unimaginable failure to deliver health insurance coverage and subsequent medical treatment in a cost-effective manner. Democrats under Obama could not deliver with a comprehensive immigration plan and still refuse to join President Trump and Republicans in revising the plan that has been on the table for about 6 months to in bi-partisan fashion fix the immigration problem. And then there’s gun control. After these purely emotional election issues, the Democrats have nothing they can even hint is “their” policy on any important American issue. Emotion is all they have. Blame pharmaceutical companies when someone overdoses on prescription medication? Blame guns that are used to commit shootings in which innocents are killed rather than blaming the person or persons who pulls the trigger? Answer: the political correctness of the emotional cause is necessary for the Left to deflect the attention of American voters away from substantive issues of life for average Americans to make voting decisions based solely on emotion rather than on fact. Let’s just hope Americans are smarter than Democrats think they are. More Gun Laws or Repeal the 2nd Amendment? If you’d like to listen to the audio version of this story rather than read it, scroll to the bottom of the story, click on the audio link, and you’ll get the story in total. Thanks for listening in! In the wake of the “mass” shootings in recent past years, many Americans are once again clamoring for gun control. Their cries are chiefly the result of emotional angst and are principally based on that anger, fear, and shock rather than reason.What needs to be done? Who needs to do it? What will it look like if a way is found to stop similar shootings? And is some type of gun control the answer? If so, can it be done, what needs to be done, and who needs to do it? We will first discuss the specific areas of concern and potential “fixes” in the gun control conversation. At the end of this, we will summarize with the answer: OUR answer. Most will agree there are holes in the gun purchase background check system that has allowed many to slip through the cracks. The process could simply be made more efficient, more timely, broader in obtaining more information on each applicant, and could be expanded to include the legal private sale of guns and even sales at gun shows. Mental Health issues are a consideration that should be part of the background checks process, and MUST be an intricate piece of the gun purchasing process that includes the direct involvement of mental health professionals and law enforcement experts. But what changes should be made to the application process for this to be included? Remember: the HIPPA law protects the privacy of the medical records of all Americans. A HIPPA release would be required with each application if any health circumstances would be included in the gun purchase application. 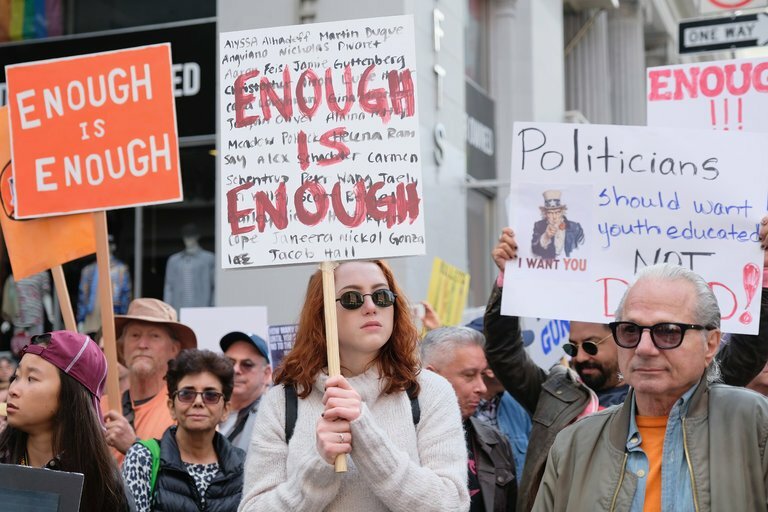 Every time there is a mass shooting in the U.S. — especially a school shooting — gun control advocates repeat their demands for new gun laws — sometimes even gun confiscation. 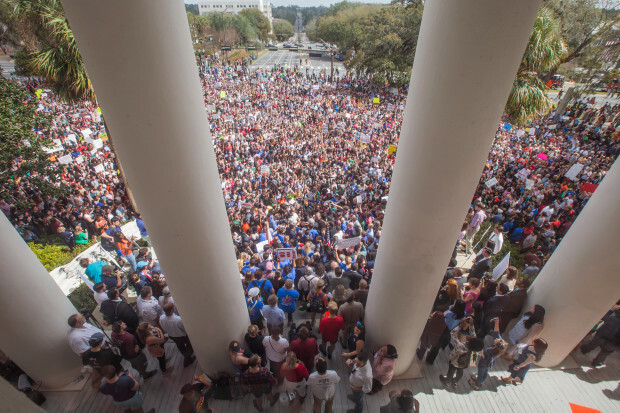 We have heard their justifications for new laws over and over again, but even with massive demonstrations, nothing legally ever gets done to address these shootings. Why is that? There are MANY gun laws in force at the federal, state, and local levels that are obviously ineffective. Why pass new ones? Which ones would work if passed? For the sake of this conversation, consider how many gun laws there are today. For many years, gun advocates have spouted the number 20,000 gun laws at federal, state, and local levels combined. Even President Reagan used that number. There is NO verification anywhere of that number or ANY number of the combination of federal, state, and local gun laws. What we DO know is there are many. Alan Korwin, who co-wrote “Gun Laws of America” with Michael P. Anthony, has added up 271 federal gun statutes, but says all of these numbers are fairly meaningless. He has written an essay on his Web site addressing the question of how many gun laws exist, and whether this is even the proper metric in the first place. “If the goal of the laws is to outlaw crime, then there are enough, because all these luridly promoted acts of infamy involve many laws being violently broken…. Ask if there is sufficient ‘crime control,’ and everyone seems to agree there is not,” Korwin wrote. If one assumes there are several hundred more gun laws today at state and local levels to add to these 271 Korwin stated (even if THAT number is accurate), there could easily be 600 gun laws in effect in the U.S. You can bet that all those laws on the books comprehensively include just about any gun issue one could imagine, and in total should with their enforcement regulate in every way ownership and use of every type of gun. Do away with guns and that will do away with mass shootings. I will not take the time to counter each of the above arguments. I will just say American gun confiscation will never happen. ALL fully automatic weapons were removed from legal private gun ownership decades ago with rare exceptions. The AR-15 and similar styled rifle or a typical handgun to be legal, that gun must require the shooter to squeeze the trigger once to fire one shell. To fire again the trigger must be pulled again. That’s “semi-automatic.” A fully automatic weapon — like a machine gun — allows the shooter to pull the trigger one time, hold it down, which allows the gun to fire continuously until the trigger is released or the gun magazine that holds bullets is emptied. THIS STYLE OF GUN HAS BEEN ILLEGAL FOR SOMETIME FOR USE AND/OR OWNERSHIP BY ALL BUT THE MILITARY, LAW ENFORCEMENT, AND IN RARE CASES SOME GUN COLLECTORS AND MUSEUMS. “What is the purpose of private use of hi-capacity magazines that hold sometimes several dozen bullets? Surely those could be used only for mass shootings.” Imagine a police officer in a gun battle with one or several criminals. Seldom is the setting of such a situation where each stands perfectly still out in the open at a distance of 5-10 yards while any shooting takes place. Seldom are the parties involved in such shootings calm and collected and steady when they aim and shoot. For self defense, military, or law enforcement use of semi-automatic guns does the first or second, third or fourth, and sometime subsequent rounds hit the mark, stop the perpetrator, and protect the shooter. Being able to fire as many as 10-15 times if necessary in such a situation is the purpose for the production of hi-capacity magazines for semi-automatic weapons. Background Checks most assuredly should be toughened and broadened. There MUST be inclusion of mental health information of the applicant that MUST have a mechanism for FBI application processors to be able to quickly access those health records for applicants. Private and gun show gun sales should also require the same background check. How successful would this be? There’s no way to tell for certain, but several mass shooting perpetrators of the last few would have been prevented from gun purchases if such a system existed. New Gun Laws No new gun laws — federal, state, or local — need to be passed and enacted. We need to begin to enforce EVERY CURRENT GUN LAW! Let’s face it: criminals don’t care about gun laws and will never abide by them. 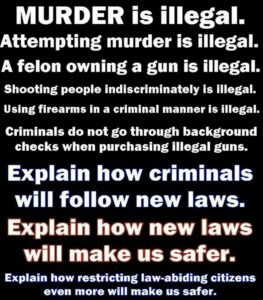 But immediately enacting on every law enforcement level a mandatory enforcement of every gun law would accomplish several things: 1) initiate a real deterrent for criminals, for they would experience real consequences for their illegal acts. If every gang-banger, drug lord, and drug dealer in Chicago knew for certain that if caught with an illegal gun they would be prosecuted to the fullest extent of the law, the huge number of violations would certainly decrease; 2) by aggressively pursuing, capturing, and prosecuting all those who break gun laws will remove a large number of people from the streets. That in itself is a very successful way to stop gun crimes; 3) Fear of consequences for criminal gun law breaking that is currently non-existent would immediately impact the social sub-cultures that are primarily responsible for a large majority of gun crimes. This would destroy that sub-culture. The point is that there are — insert number here — laws on the books that address anything illegal that anyone can do with a firearm. Having that number of laws, plus one, isn’t going to make anyone safer. What will make everyone safer is if we enforce the laws that we have on the books now. Gun Confiscation That cannot legally happen. Former Supreme Court Justice Stevens recently suggested repealing the 2nd Amendment that gives Americans the right to “hold and bear arms.” Doing so would require a two-thirds vote of Congress plus 38 States to formally approve any such action. George Washington added his personal thoughts to the importance of the 2nd Amendment with this: “A free people ought not only be armed ad disciplined, but they should have sufficient arms and ammunition to maintain a status of independence from any who might attempt to abuse them, which would include their own government.” Americans for the foreseeable future will retain the right to own guns. How do we stop senseless gun violence? It will take a combination of things: broaden gun ownership applications and make private and gun show sales applications mandatory; Mandate all law enforcement professionals aggressively attack criminal gun activity of every type — including maximum sentences for convicted violators; stop the senseless media lies about types of gun crimes, Media use of weapon terminology that is misleading to the American people, and maybe most importantly, instead of demonizing groups like the NRA, embrace and expand their educational programs that have taught millions of Americans the responsibilities of owning and using firearms, how to shoot, and personal defense. AND STOP THE FOOLISHNESS OF “GUN FREE ZONES!” Almost all mass gun shootings have taken place in gun free zones. Criminals love gun free zones, because they know they will face no opposition no one else will have a gun in those zones! But the most important two things that MUST be done to curb this violence is for EVERYONE to begin to speak “to” each other and not “at” each other. Listening and really hearing those with opposite views on this matter and finding ways to bridge any gaps to find commonalities that all can work together to accomplish is critical. ALL must stop the politicization for political advantage: Democrats AND Republicans. A Mom or Dad who just buried their high school junior who was shot at school doesn’t care about political party affiliation or any political narrative desired by any class of gun control or gun advocate. All that matters is creating an American environment to protect innocents while stopping illegal possession and use of firearms of every kind. We must stop threatening actions that will never be taken. And we must stop the hypocritical threats of such actions only when there’s another mass shooting. “If” we together don’t work with ALL of the above elements to attack this horror that now is repeating itself more and more, we are doomed to repeat our history again and again. Who will pay that price? Primarily innocent children.